Singaporean luxury blogger Sara Shantelle Lim knows beauty so well that she launched her own beauty line, Sara Shantelle Skincare. Bodycare. Haircare. After enjoying success in Singapore and Southeast Asia, Sara is now bringing her beauty products to the United States. We emailed Sara to find out more about her beauty line, as well as her own beauty secrets and icons. Can you tell us about your beauty collection? Why did you decide to go into beauty? SaraShantelle Skincare. Bodycare. Haircare is a range of premium beauty products which originated from different countries all over the world such as USA, Italy, Spain, Japan, Korea, France, Germany, Hong Kong & Switzerland. As a former air stewardess, I am familiar with beauty and aesthetics, personal grooming and possessing strong passion in this area, I have decided to unveil and share beauty secrets by bringing in tried-and-tested products by aesthetic doctors to spa owners, retailers and consumers in Southeast Asia. I started off with two basic products - Renewal Whitening Day Cream SPF45 & Renewal Whitening Night Cream and expanded to about 10 over products till date. My beauty products can be purchased online at WWW.SARASHANTELLE.COM via credit cards and Paypal. We provide worldwide international shipping. Why did you decide to bring your collection from Singapore to the US? America has a more mature online shopping culture as compared to Singapore. I think that the American market is a huge market with larger population and plenty of room for growth. The Americans are still the main source of social media, their television culture is strong and their marketing is amazing. 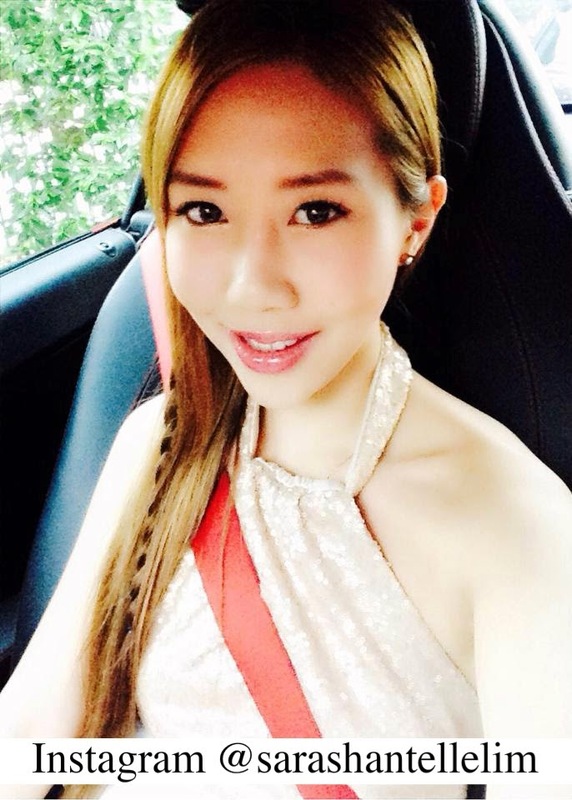 How do American beauty shoppers differ from Singapore beauty shoppers? I feel that American beauty shoppers shop online more than Singapore beauty shoppers. Also, American beauty shoppers are generally bolder and more willing to try out new products. Especially when the products are high quality and effective, American online shoppers tend to by more loyal to the brand they have tried and tested to be proven effective. What are some of the must-have beauty products in your line? Contains wild ginseng extracts, RNA, DNA, amino acid and vitamins that deeply cleanses hair follicles and scalp using all natural and organic herbs to prevent blockage and clogged oil. It contains anti- oxidant vitamins and trace elements which helps to balance sebaceous glands. This bottle contains HBOT (Hyperbaric Oxygen Therapy) which is a medical use of oxygen at a level higher than atmospheric pressure. It is highly effective for stressful individuals to relieve headaches and migraines with its instant cooling minty sensation. 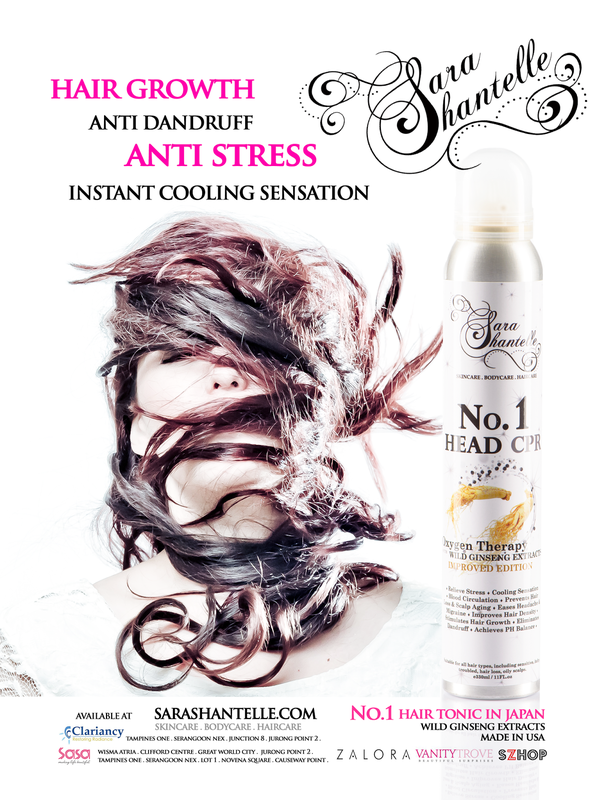 It is highly recommended for individuals with hair loss, itchy, dandruff or sensitive hair scalp problems. 1 bottle is sold every 3 minutes! Anti Bacterial skin shield. Gel based, not oil based. Extremely effective for oily, sensitive, pimpled and troubled skin. Even for sensitive eczema skin. that shines and an endearing gaze that simply mesmerize onlookers. Grace Kelly for her simply elegance and flawless complexion with neat brows and hairstyle, she is a symbol of beauty in perfection. Last but not least, Audrey Hepburn for her saucer-sized eyes and delicate features, she taught me that "beauty of a woman must be seen from their eyes, because that is the doorway to her heart, the place where love resides."